I am a singer songwriter. I play guitar, bass, mandolin. Here are other links you can find my music. 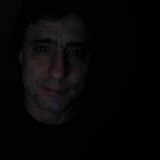 Hey, i also have a YouTube page http://www.youtube.com/TheEddiedog1 for more songs.